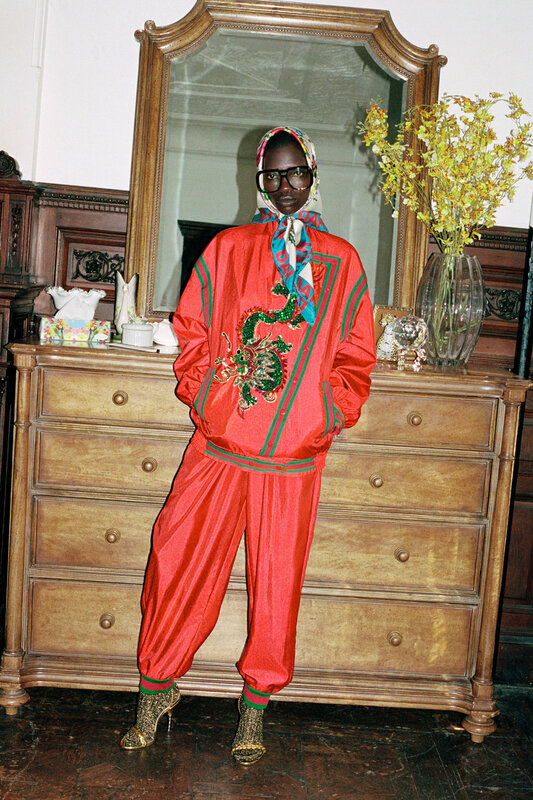 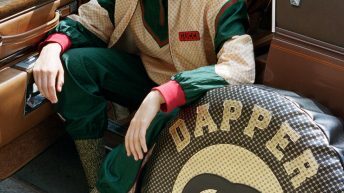 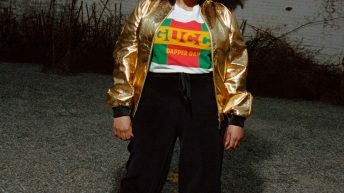 Daniel Day, the Harlem based designer better known as Dapper Dan, amassed a passionate following in the 1980s and 90s by way of his shop on 125th Street. 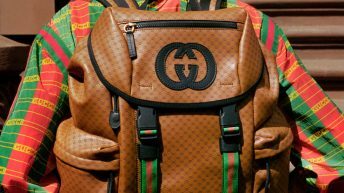 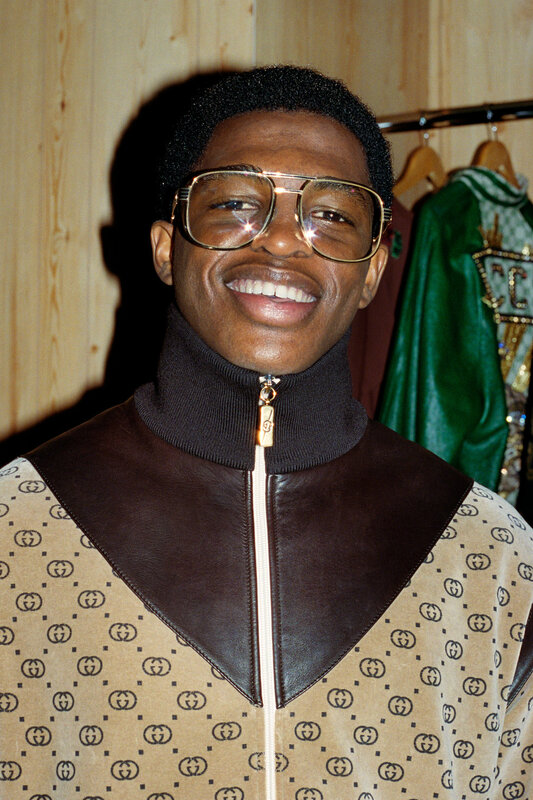 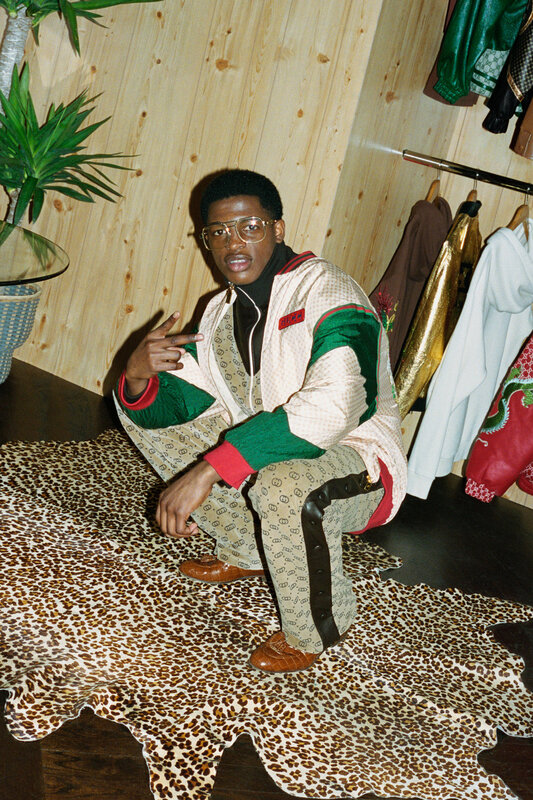 His custom ensembles—popular with prominent hip-hop artists, athletes, and entertainers including LL Cool J, Floyd Mayweather, and Salt-N-Peppa—featured logos from Louis Vuitton, Fendi, MCM, and Gucci without authorization from the brands. 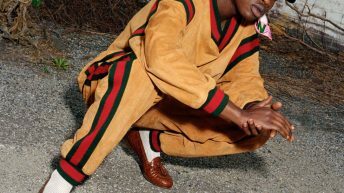 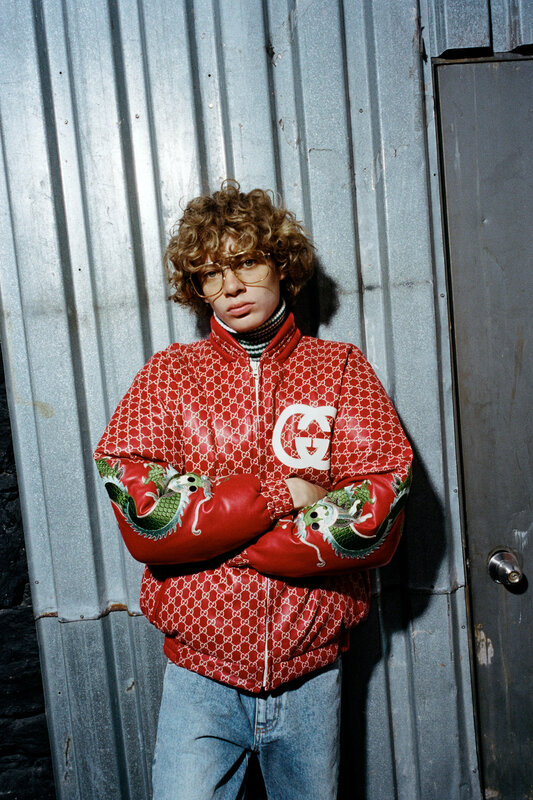 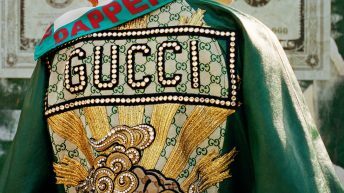 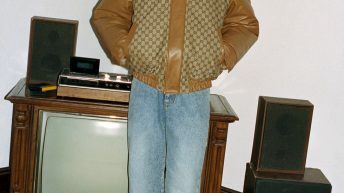 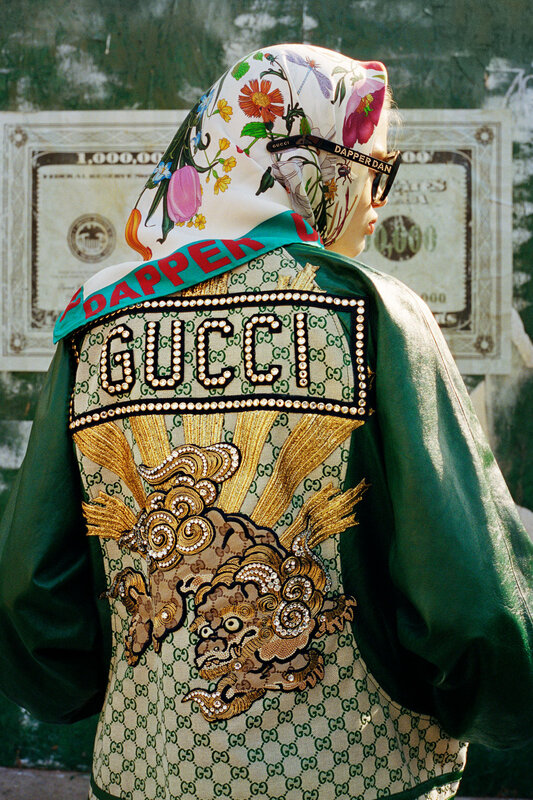 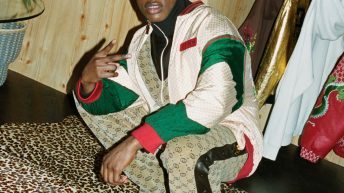 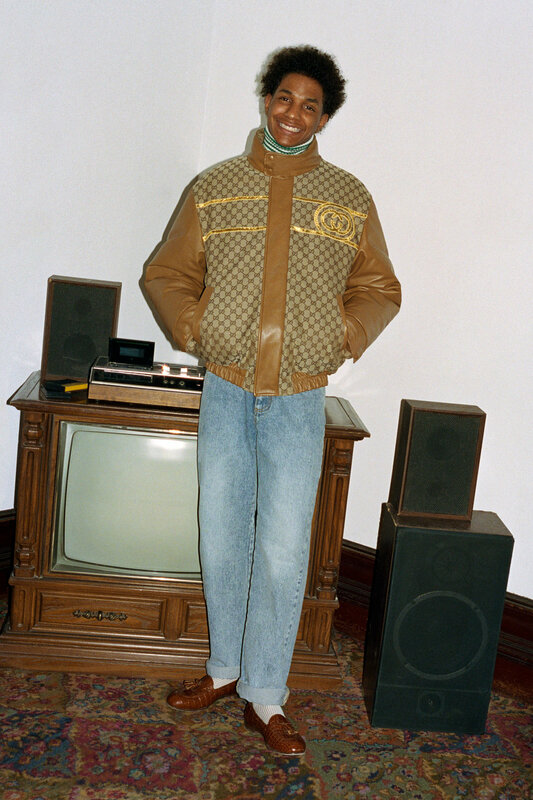 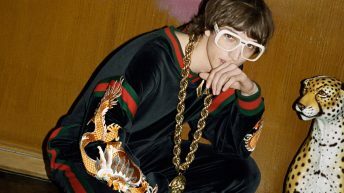 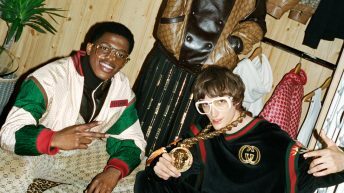 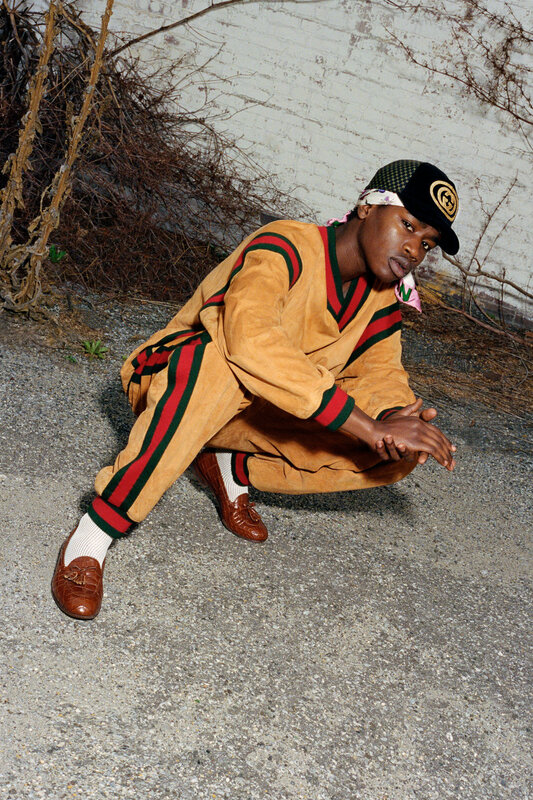 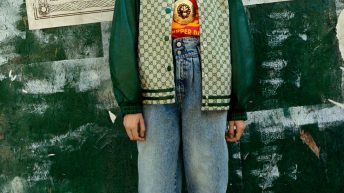 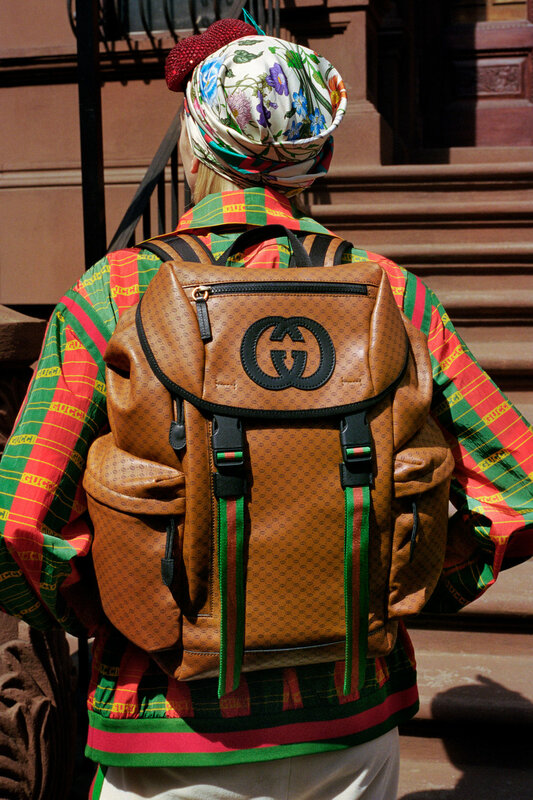 Today, Day’s official collaboration with Gucci hits the brand’s site and select flagship stores around the world. 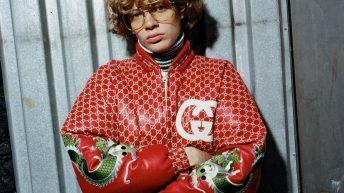 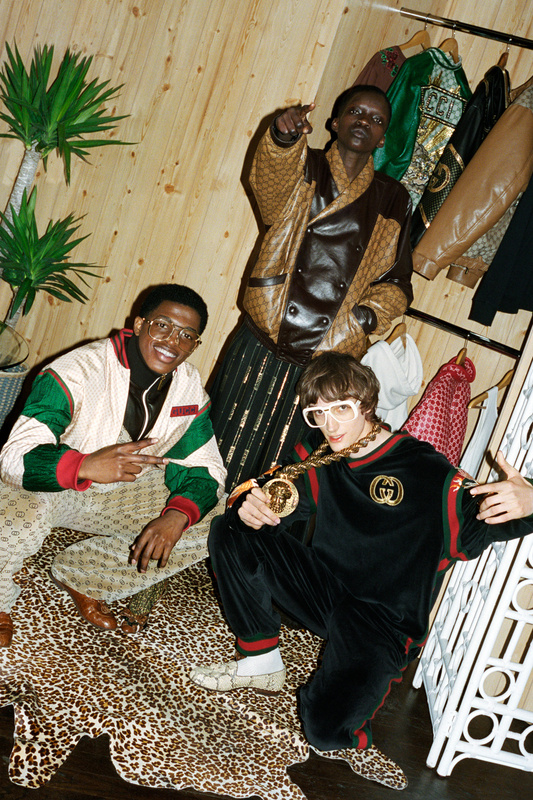 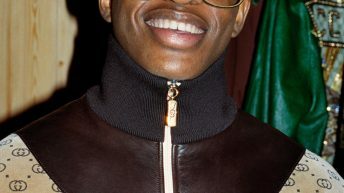 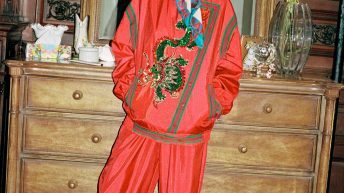 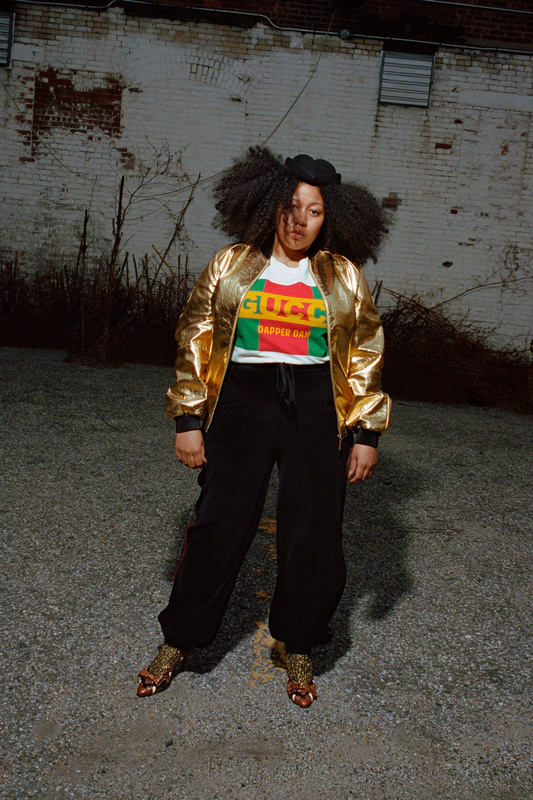 The collection features revamped version of his iconic styles: tracksuits are made in rich velvet,bomber jackets go double breasted with a shawl-collar, and logo emblazoned varsity jackets are saturated with bright red. 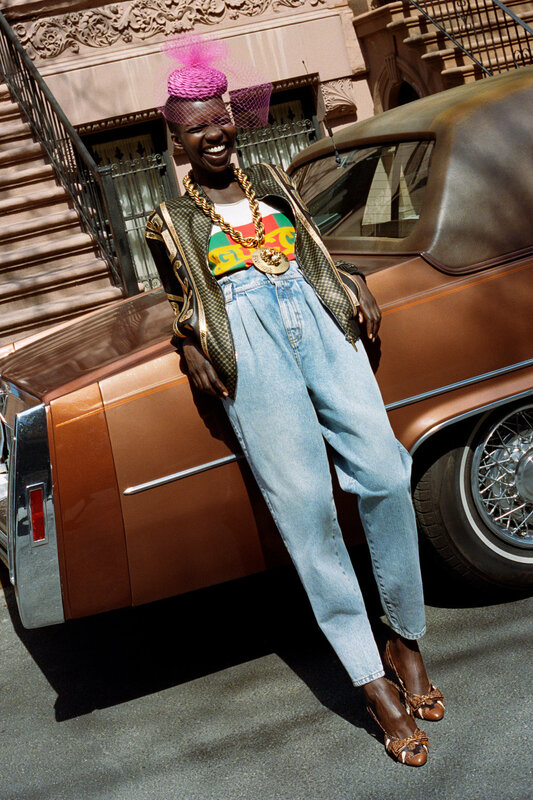 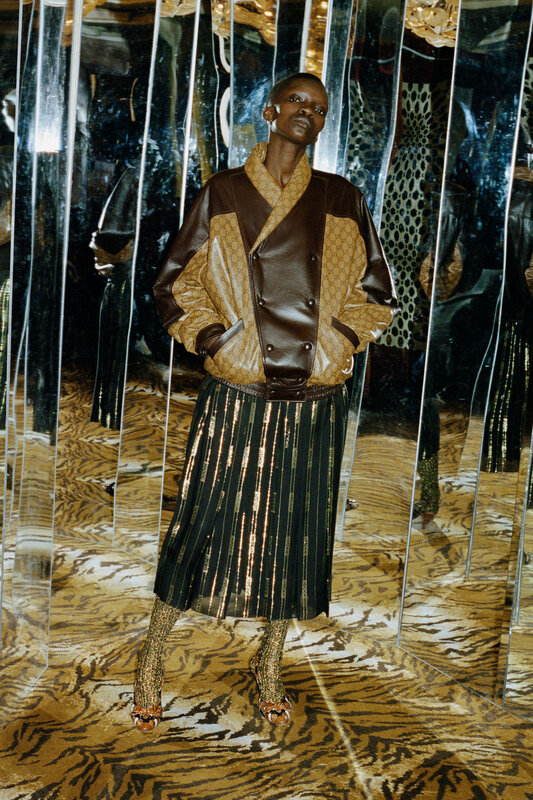 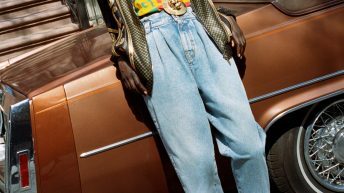 Gold printed python trim and appliqued dragons recall the use of gold leather in Day’s early practice while light-wash jeans, drop shoulders, and roomy fits reference the decade’s quintessential looks.